Magic or miracles? Gilbert Gilbertson, an inept magic clown whose biggest gigs are kids’ birthday parties, suddenly develops skills in sleight-of-hand and stage illusions that confound expert magicians. He also begins affecting people in strange ways, as well as winning staggering amounts of money in Las Vegas, which he donates to the Catholic Church. Jack Madison, an agnostic neurologist, debunker of miracles, and bestselling author, is asked to investigate the matter of Gilbert the Magic Clown. In pursuing the mystery, Jack becomes the unlikely partner of Joan Firestone, a beautiful Las Vegas detective and expert in casino fraud. Enter a far-right fringe group within the Catholic Church, convinced that Gilbert is working legitimate miracles—miracles they believe will convince Catholics to return to more conservative ways. Jack and Joan land at the top of the group’s hit list as they try to figure out how Gil Gilbertson does what he does. 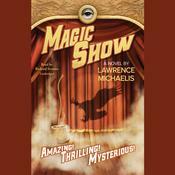 Things culminate in the closing act of a Las Vegas magician’s convention, when Gilbert performs what all agree is the greatest magic act of all time—a magic act that has unexpected and dire repercussions. Gilbert Gilbertson, an inept magic clown whose biggest gigs are kids’ birthday parties, suddenly develops skills in sleight-of-hand and stage illusions that confound expert magicians. He also begins affecting people in strange ways, as well as winning staggering amounts of money in Las Vegas, which he donates to the Catholic Church. Jack Madison, an agnostic neurologist, debunker of miracles, and bestselling author, is asked to investigate the matter of Gilbert the Magic Clown. In pursuing the mystery, Jack becomes the unlikely partner of Joan Firestone, a beautiful Las Vegas detective and expert in casino fraud. Enter a far-right fringe group within the Catholic Church, convinced that Gilbert is working legitimate miracles—miracles they believe will convince Catholics to return to more conservative ways. Jack and Joan land at the top of the group’s hit list as they try to figure out how Gil Gilbertson does what he does. 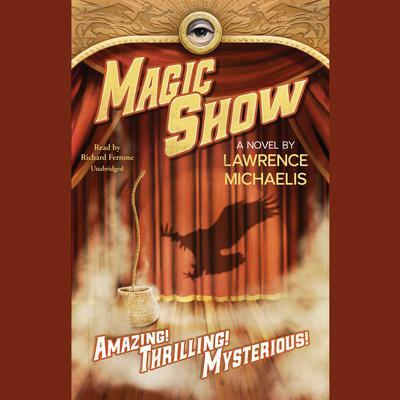 Things culminate in the closing act of a Las Vegas magician’s convention, when Gilbert performs what all agree is the greatest magic act of all time—a magic act that has unexpected and dire repercussions. Lawrence Michaelis is a retired cardiac surgeon and hospital/medical administrator. He has been an amateur magician for seventy years.